GL Lighting is proud to present our LED Solar Street Light. They come in 6000k and are available in 12w and 24w. The Solar Street Light comes with an IP65 rating. They have Lithium Ion batteries which come with a 6-month warranty. 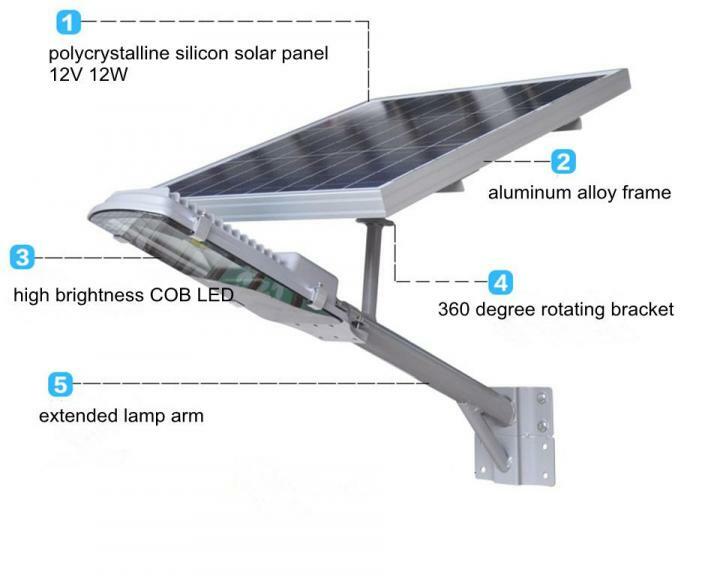 The Solar Street light comes with a Pole Mounting and Wall Mounting bracket. Gl Lighting is proud to present our new Blue Series Solar LED street lights these come in 12w shtsts12w and in 24w shtsts24w. This comes as a complete unit including LED street light ,solar panel, batter, wall mounting bracket and pole mounting bracket. These solar street lights are perfect for lighting up walk ways, side streets, farms. We are based in Edenvale on the East Rand, Johannesburg, Gauteng, South Africa. We supply LED street lights to the hole of South Africa including Cape Town, Durban, We also supply LED street lights to our neighbouring countries including Zimbabwe, Botswana, Namibia, Mozambique and Zambia.